Frank Cognoscenti Returning by popular demand, On Thursday 25th April! at Tarana Turners Hill. Frank has performed everywhere from Ronnie Scotts to the Singapore GP and every song sounds like the Frank Sinatra's original recording. 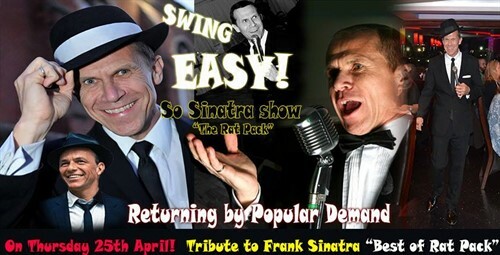 Frank is the same height and build as the young Frank Sinatra coupled with the chiselled face and blue eyes, too! Join us for a fabulous evening to enjoy live entertainment and mouth-watering food! Freddie Mercury (Queen) and 70 - 80s Disco! on Thursday 2nd of May! 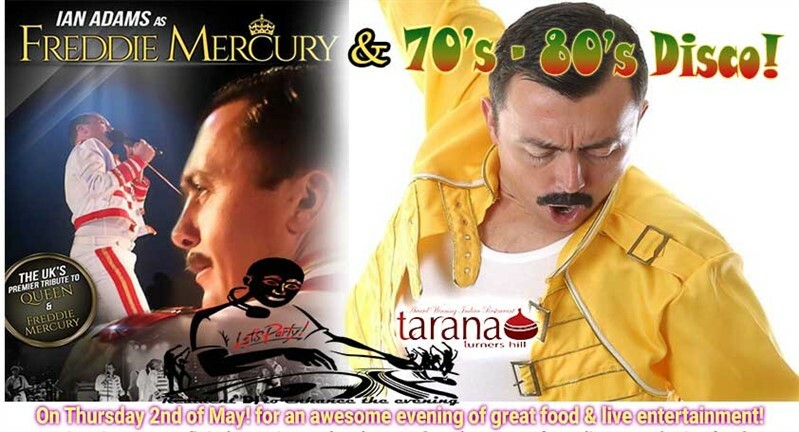 Ian as Freddie Mercury is one of the UK's Premier Queen & Freddie Mercury Tribute artist. He performs internationally all over the world with sell out shows in the UK & abroad, with most recently in UAE & Europe. He delivers a full night of QUEEN & Freddie Mercury's greatest hits! Replicating Freddie Mercury's live shows with the mannerisms, vocals, charisma & high energy!! It's a great show not to missed. 80’s Disco with brilliant DJ Rugga D keep the night flawless! Deposit | Discount: Definitely coming to the show? Take advantage of our discounted price, for those purchasing their tickets in advance will save £10.00 per head. Alternatively, you can pay the deposit £10 ph to secure your booking and settle the rest on the night. Discounted Price:- Option 1: Silver - £30 Over 12Yrs | £20 under 12 Yrs. & Option 2: Gold - £40 Over 12Yrs | £30 under 12 Yrs. if purchased by 28th April! Come Along To Experience THE MAGIC! ‘Andres Cruz’ as Bruno Mars returning by popular demand at Tarana Turners Hill! 24K Bruno - The Ultimate Bruno Mars Tribute Show is a powerful and energetic show, with 100% live vocals from the ‘Andres Cruz’, paying tribute to the amazing Bruno Mars. In order to further enhance the evening, we will also have resident DJ - DJing to keep you dance the night away. Make sure to bring your smiles and dancing shoes along! 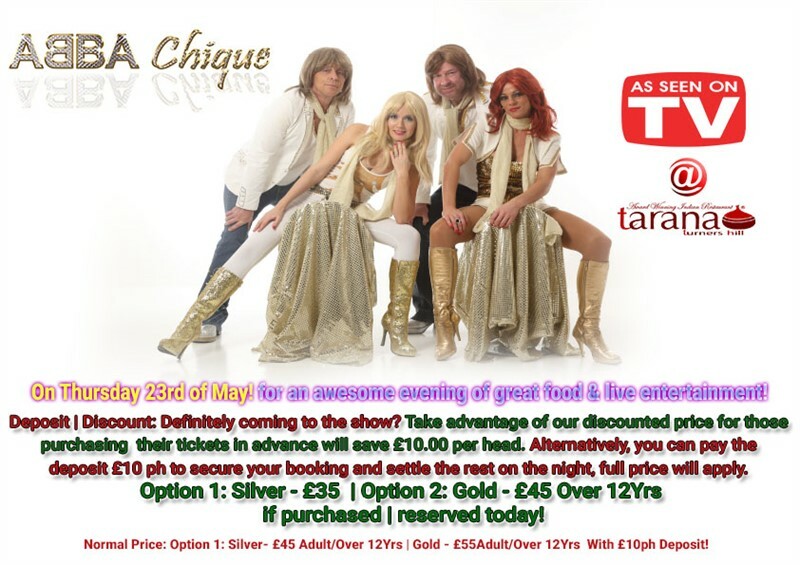 ABBA Chique, the hottest tribute to ABBA established in 2009 and have since become one of the top tribute acts in the country, performing sell out shows all over the UK and abroad. Having recently appeared on BBC1 show - 'Even better than the real thing' the band are touring the UK and will be performing at Tarana on Thursday 23rd May again - by popular demand. Come and dance & sing along to ABBA's greatest hits. This is not to be missed!! An awesome evening of great food & live entertainment! Deposit | Discount: Definitely coming to the show? Take advantage of our discounted price, for those purchasing their tickets in advance will save £10.00 per head. Alternatively, you can pay the deposit £10 ph to secure your booking and settle the rest on the night, full price will apply. Come Along To Experience The Magic? 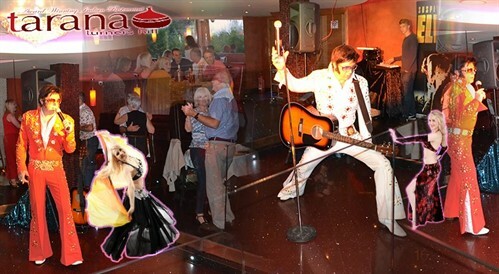 We are thrilled to welcome Ivor The UK's Number 1 Elvis Tribute - Returning by popular demand! 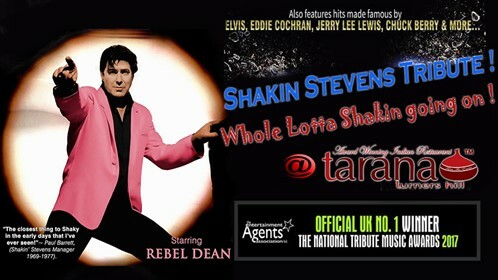 Undoubtedly UK's most successful tribute with a residency at London's world famous The Hippodrome Casino. In addition there will be Belly Dancer keeping the night flowing during the interval! Tom Jones LIVE on Thursday, 4th July 2019! Excited to announce that the UK’s No.1 Tom Jones Tribute will be in the house at Tarana Turners Hill on Thursday, 4th July 2019! The Emotion, The Feeling, The Drive, The Passion Of Tom Jones Live. This man can walk the walk as well as talk the talk! Arabian-Night (Belly Dance) Wednesday, 10th April 2019. Let our charming belly dancers take you on a magic carpet ride! Come along and enjoy the exotic food cooked by our award winning chefs & the wonderful, vibrant performances by our lovely belly dancers! You can order from the à la carte menu and you will be charged accordingly. However, as usual we have three party menu deals available. You choose, we take care of the rest! Tarana Fusion Night (Bolly - Belly, Snake Charmer) Wednesday, 17th April. Witness our snake charmer's mesmerizing display followed by performances by our beautiful belly dancer. You can order from the à la carte menu and you will be charged accordingly. However, as usual we will have three party menus deals available (Party Menu) You choose, we take care of the rest! Come along and enjoy the exotic food Cooked by the award winning chef’s & wonderful vibrant youthful performances by our lovely energetic Dancer! Just order from the à la carte menu and you will be charged accordingly. However, as usual we will have three party menus deals available(Party Menu)You choose, we take care of the rest! "Rebel Dean as Shakin' Stevens" includes all the hits Green Door, This Ole House, Oh Julie, You Drive Me Crazy and many many more. Back to the 80's with some real Rock n roll favourites! Rebel Dean, as seen on BBC1's "Even Better than the Real Thing" hosted by Paddy McGuinness last year and also the No.1 Winner of "The National Tribute Music Awards" last year too. Don't miss a night to remember! If You've ever wondered what was behind the Green Door, now is your chance to find out! !